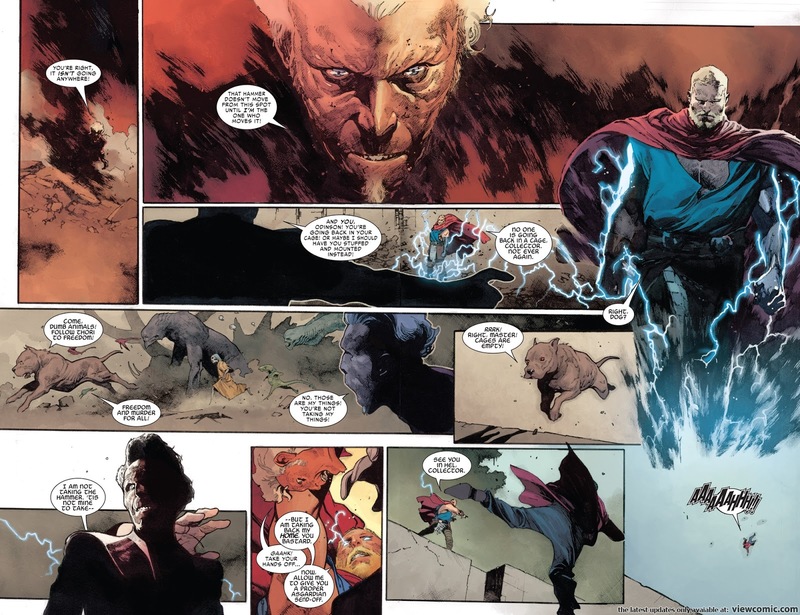 You should realize by now in comics that when a lot of superheroes are fighting each-other a lot of fanboysm is involved and they hardly show the extent of their powers, if so the comic would be huge or in the case of Thor the planet could very much suffer severe damages. 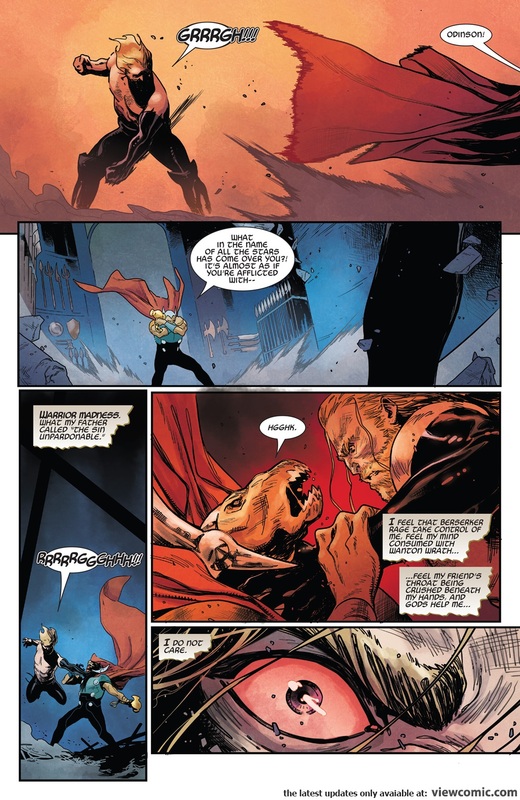 Nearly got taken out by panther god? 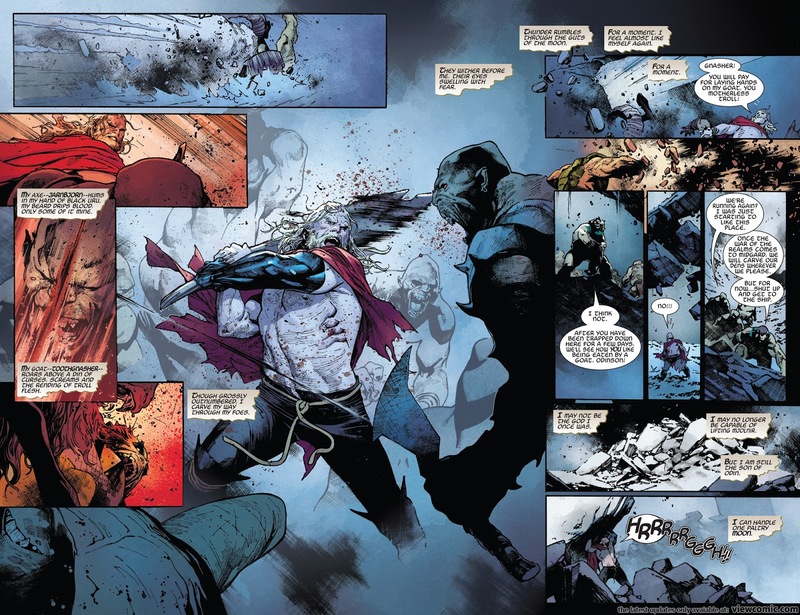 You mean those two screeches that barely appears in his skin..., man Thor can fight without an arm and with severe piercings in his skin easily. 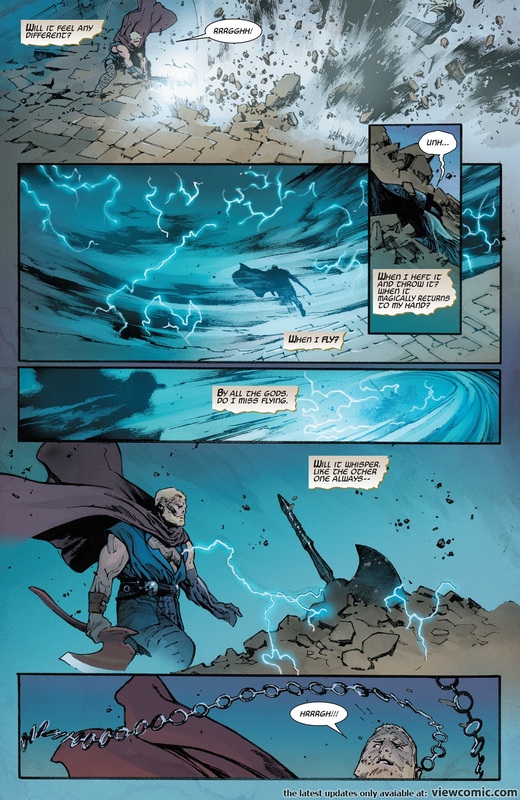 And he has an axe now, even if he holds back somebody may have his head chopped off, and I don't think the writer wants Thor killing heoroes especially someone like spiderman. Lastly this is already an old complain that we are all used to hear. 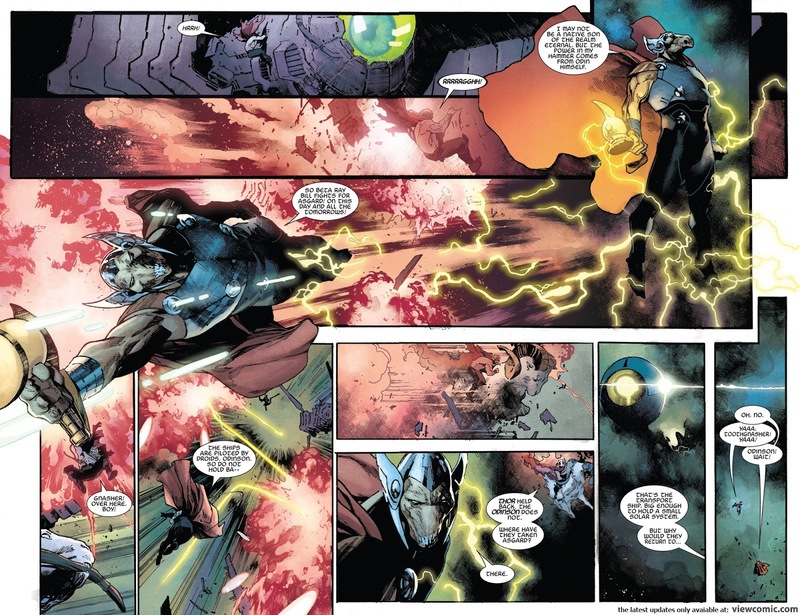 If you see Thor vs Apocalypse, absorbing man, cyclop, loki perhaps you would get more fun. Aye, it should all go without saying though. 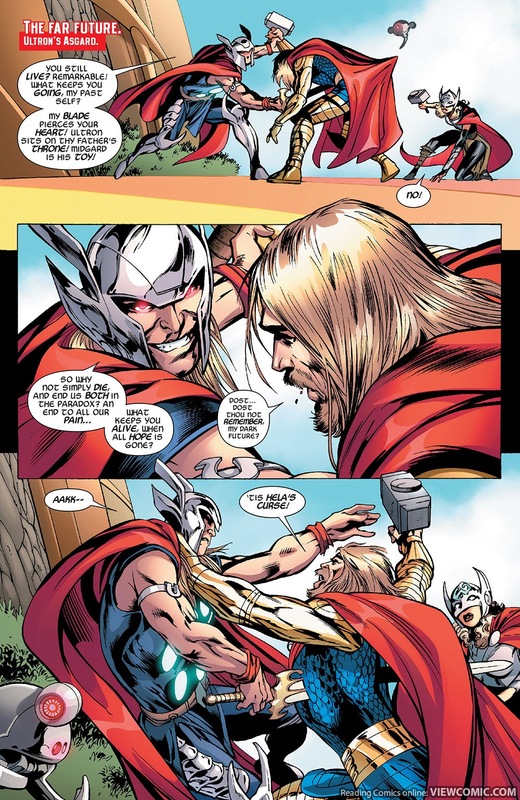 This is simple; comics 101. We should start updating this. Reaction speed after a sniper bullet was released(he didn't know a bullet was coming). 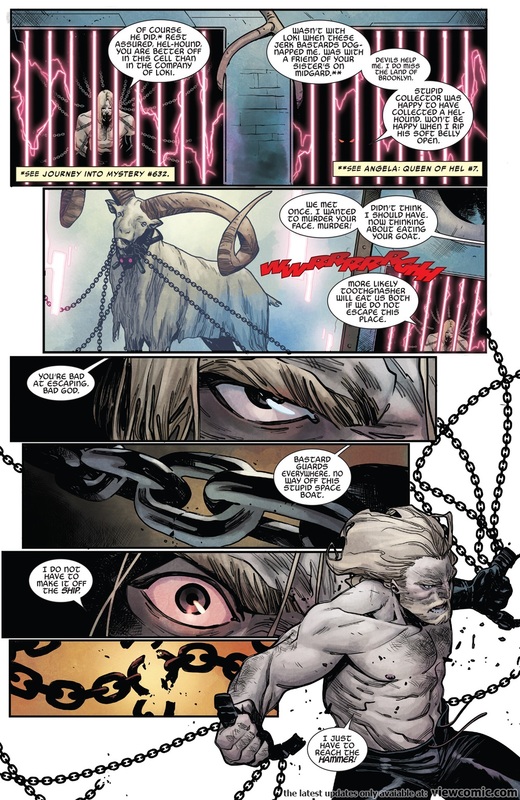 Bad news a bunch of guys are trying to debunk The Midgard Serpent feat of Thor, I don't have much scans of the issue so I can't really argue. 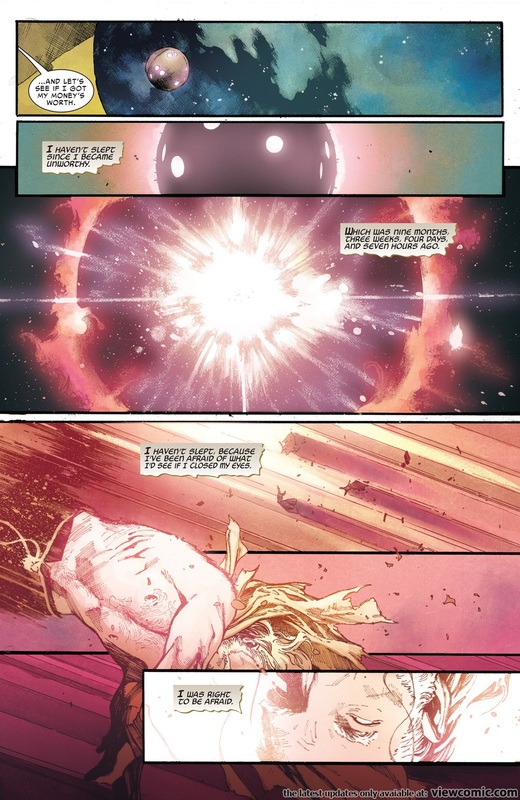 I'm pretty sure a recent handbook says it was fully physically manifested when it attacked Earth. I know this is old, but I just saw it and it's actually very beautiful and a heartwarming scene. Not going to cry, not going to cry! I calced that feat. 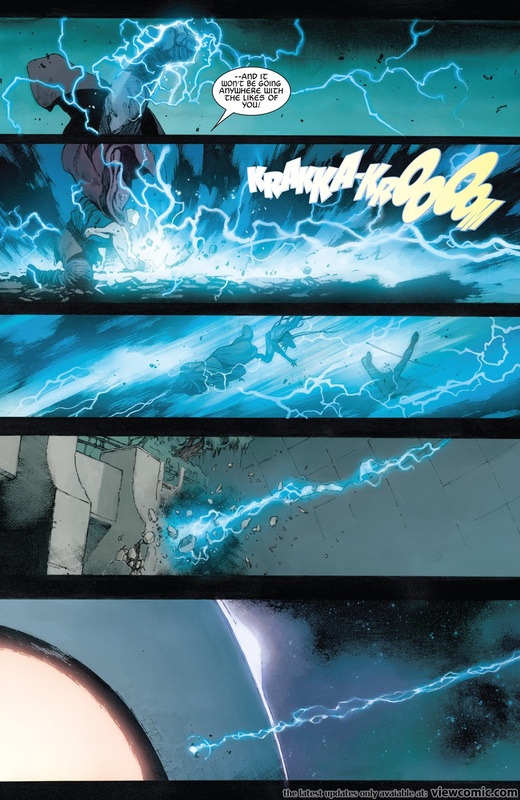 Thor travelled roughly 137.09347918124 lightyears in roughly 20 seconds. 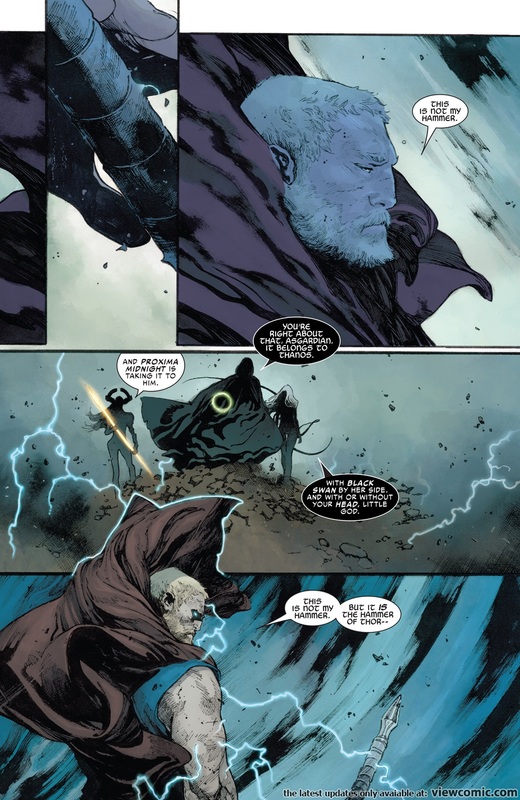 Just a little breath of life to this thread. 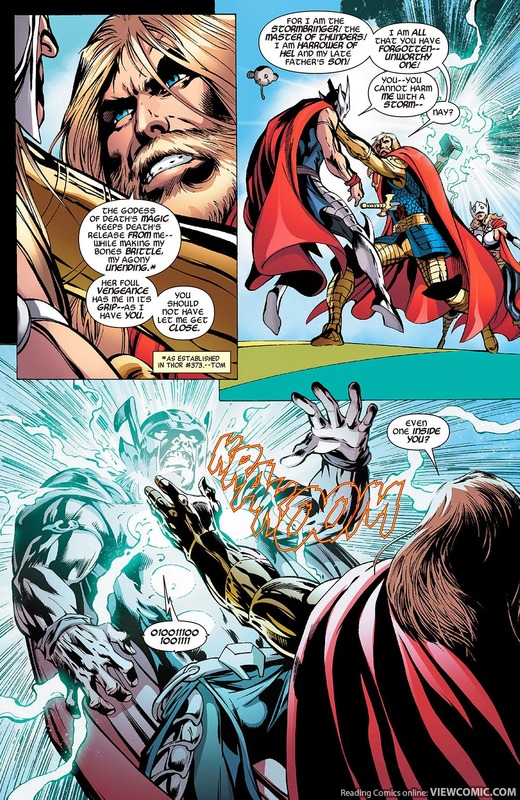 Its probably best to not let Thor get a hold of you. 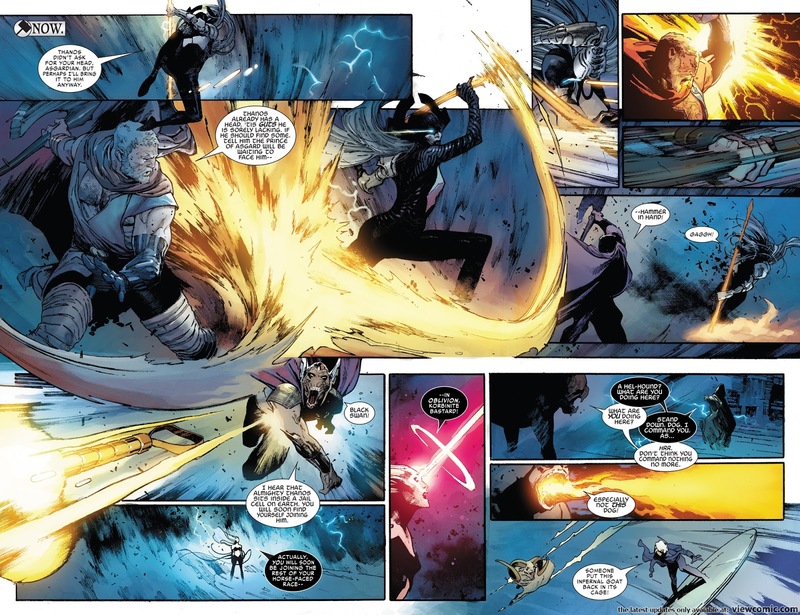 Through storm control he can create a storm inside of his opponent. 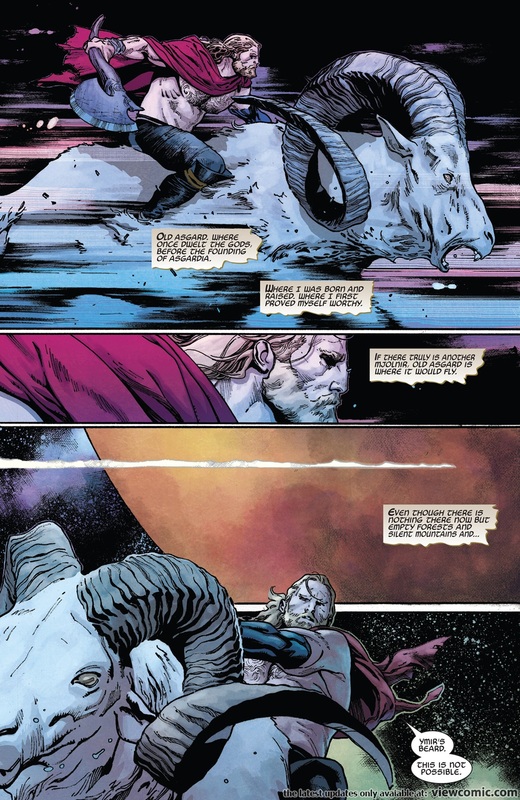 From Unworthy Thor #1, Thor even in his most fragile mindset is still capable of wreaking havoc with Jarnbjorn on trolls, as well as lifting a cave in on the moon. And more of a feat for Toothgnasher, but his goats easily let him travel at incredible speeds. 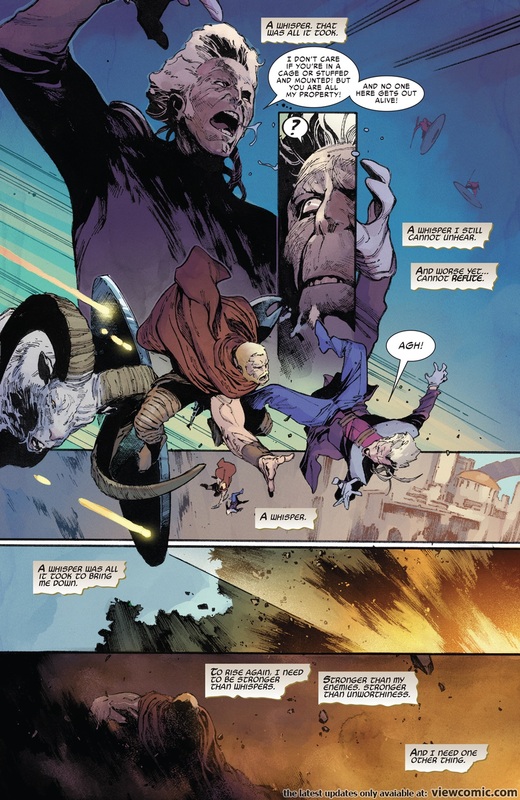 In Unworthy Thor #2, Thor is still capable of throwing ships out of the sky with a toss of Jarnbjorn, or ripping them apart with his bare hands. 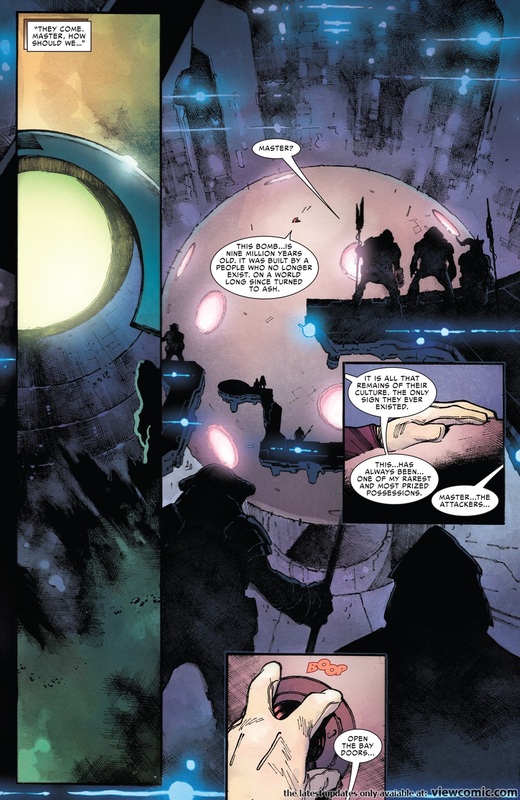 Thor survives a bomb who's blast overshadows the Collector's solar system sized ship. 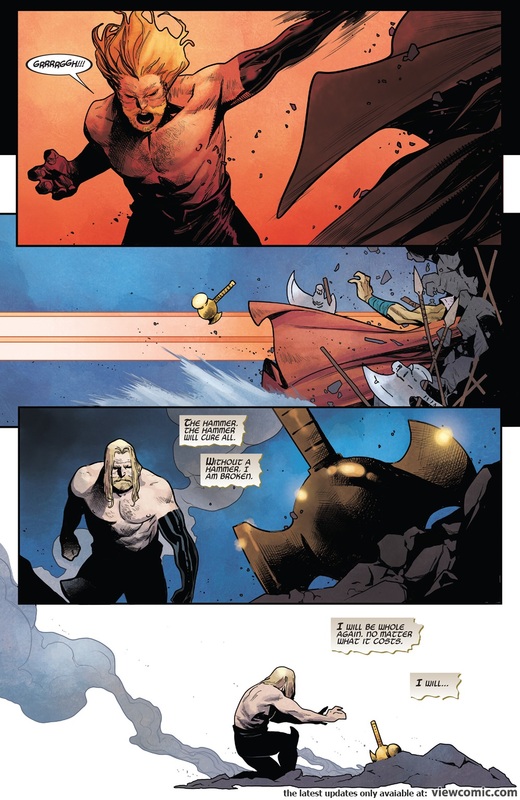 Under the effects of Warrior Madness, he beats the hell out of Beta Ray Bill. 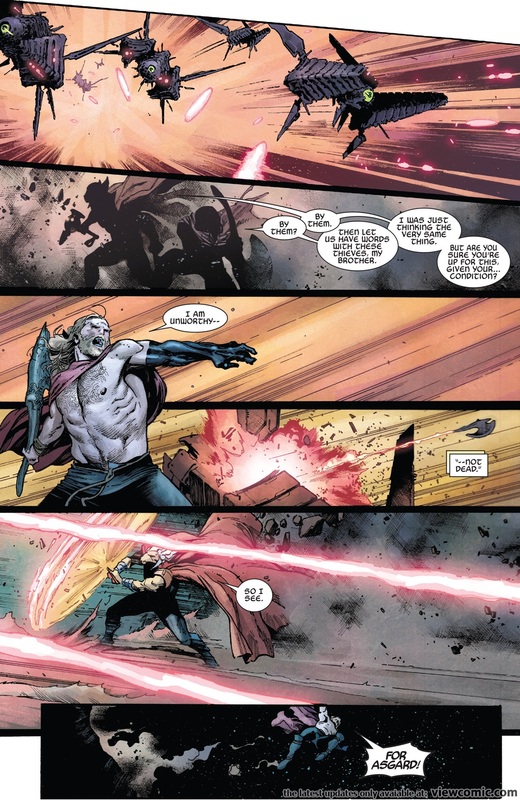 Unworthy Thor #4, Thor easily dispatches Proxima Midnight and matches her weapon with Jarnbjorn. 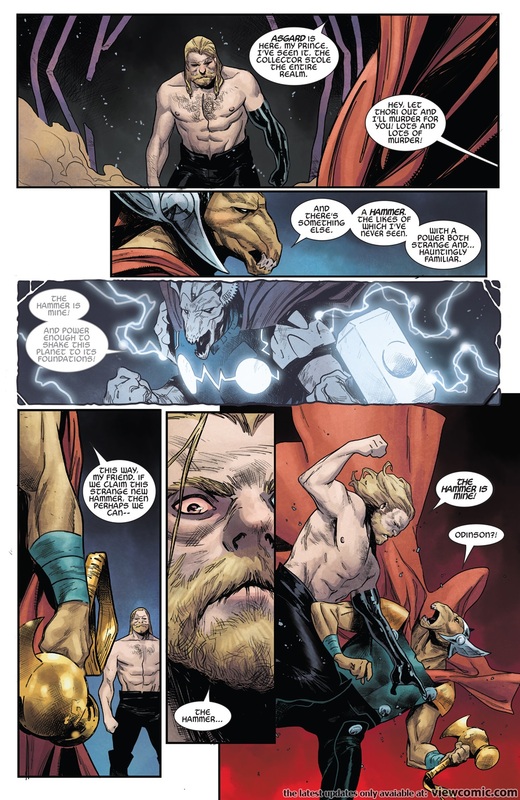 Unworthy Thor #5, with confidence regained, Thor one shots Hela, Proxima Midnight and Black Swan with a lightning crash.